Pretty much all employers will need to provide their employees with written notice that includes information regarding the Exchange (now called the Health Insurance Marketplace). 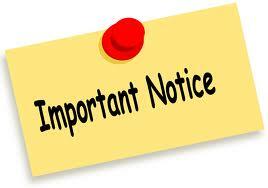 The deadline to provide the notice is fast approaching; the notice must be provided to each employee not later than October 1, 2013. Regardless of the size of your company and even if you currently do not offer coverage to your employees you *SHOULD* send this information out. The reason we say should instead of MUST is because as of last week, this has been another penalty that has been delayed and they haven’t told us when it will come back. Originally it was speculated a $100 fine for every day you have not complied with the request. We still encourage everyone to comply now as then when / if the penalty goes into effect you are all in compliance.